The holidays are a time of traditions and memories. While that usually brings joy, it can bring a deep sense of sadness for those grieving the loss of a loved one. The Xenos GriefShare ministry helps those who are grieving find God’s hope and comfort. John Montgomery with the group offers some suggestions from the GriefShare program for those facing the holidays without someone they love. He says Thanksgiving and Christmas present special challenges because they evoke strong emotions during the best of times, but, in grief, they force us to realize how much our lives have been changed by loss. 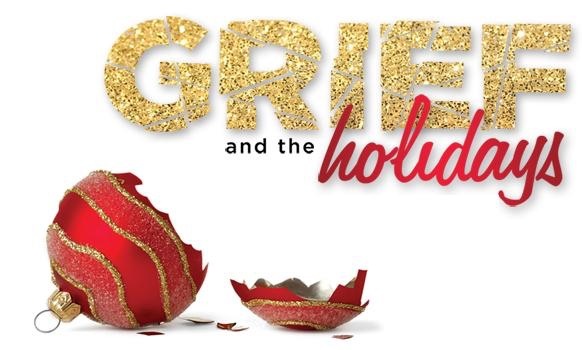 No matter how long it’s been since your loved one died, grief can make the holidays a painful time. He also points out that grieving takes energy and that you may not be up to the physical and mental challenges of the whirlwind of activities in which you usually participate. You may find yourself in social situations that now are uncomfortable because of your different circumstances. If you’ve suffered a loss, the GriefShare ministry provides some constructive tips for helping yourself through the season. You should feel the freedom to allow yourself a different holiday from your norm. Do what comforts and nourishes you; what you are capable of doing. Simplify what you customarily did in the past. You might decorate but on a smaller scale. You might reduce gift giving or decline some party invitations. Do what you can and let that be enough. John says if you’re grieving, it’s wise to have a practical strategy for the coming weeks. "Prepare for the uncomfortable moments and the inevitable thoughtless questions and remarks regarding your grief. In your mind, determine how you will answer, and stick with your rehearsed answers. If you might be 'trapped' in a social setting, drive your own car. Or if you go with someone for support, choose a friend who will 'rejoice with those who rejoice; and mourn with those who mourn' (Romans 12:15)." The GriefShare ministry offers a 10-week class helping participants find comfort and hope in God’s perspective on their loss. The next session starts January 3rd at the Warehouse location (600 Oakland Park Ave., 43214).